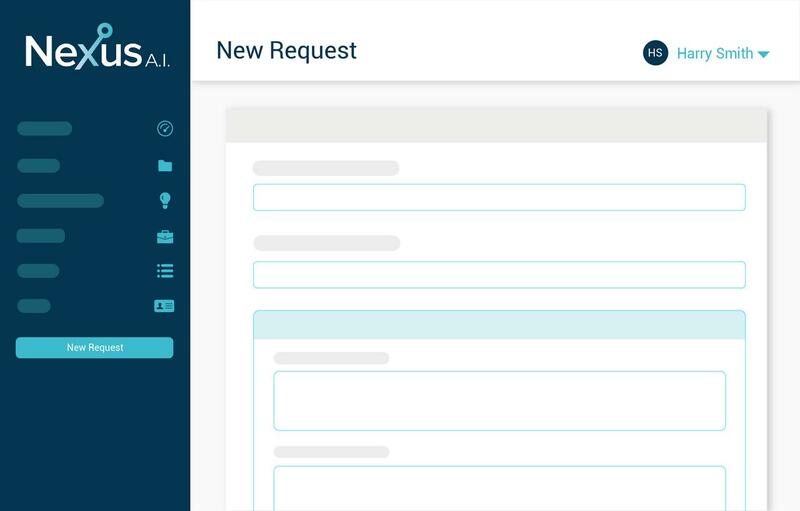 Intelligently staff your projects with machine learning. Add your project and staffing requirements, or create a new search. Look across skills, job titles, geographies, and other customized attributes. We help you identify the right people for internal projects. 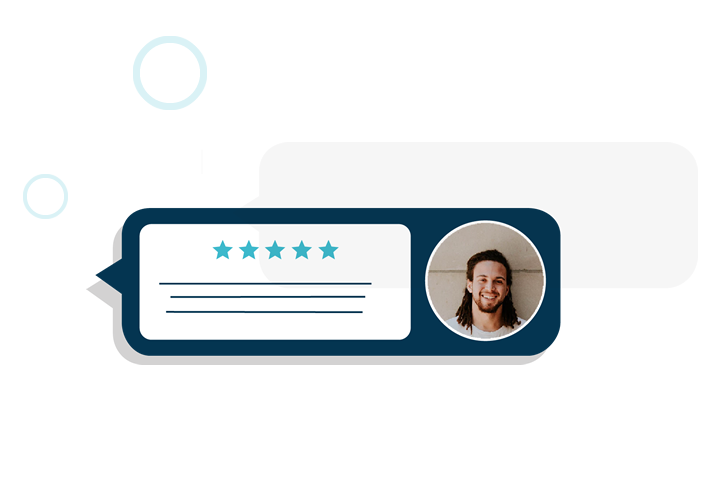 Dive deeper by viewing employee profiles, historical experience, & upcoming availability. Uncover your organization’s most in-demand skills, recent team performance, and much more. Use Nexus insights to strategically align talent with both employee & organizational goals. 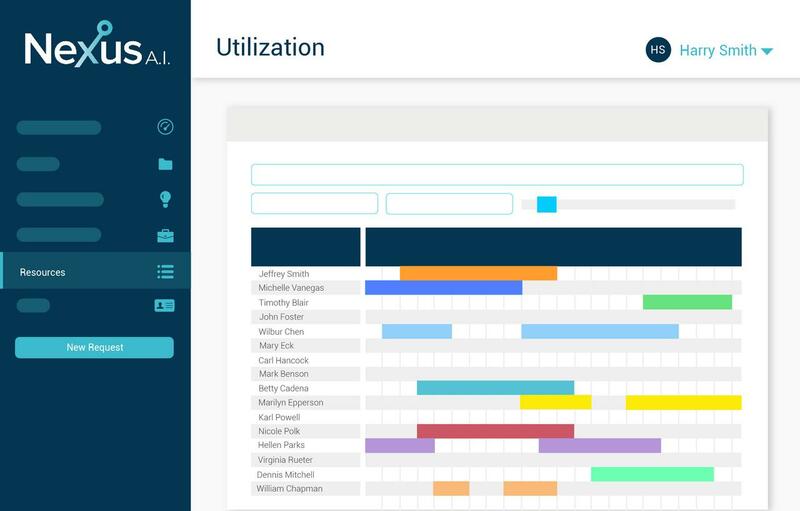 Quickly view all current and future projects with your project library and real-time utilization reports. After projects close, Nexus captures team and performance feedback. Our feedback questions were developed with leading researchers in team decision making. These results, compiled across multiple projects, begin to improve our recommendation engine for teams and resources. Not ready to staff a project? 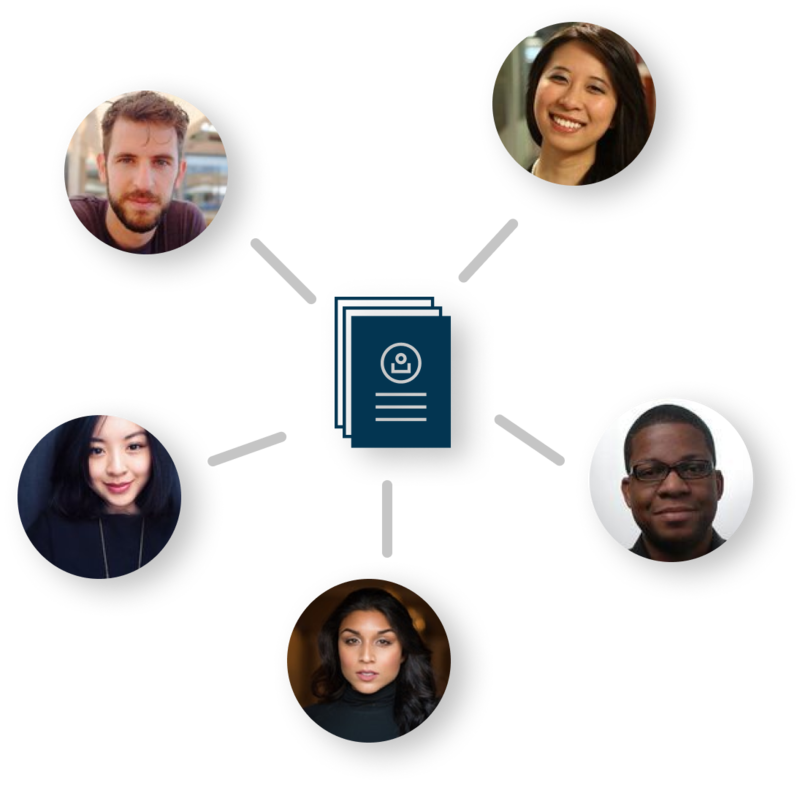 Before building a team, Nexus helps you crowdsource the right ideas to get the project off the ground. 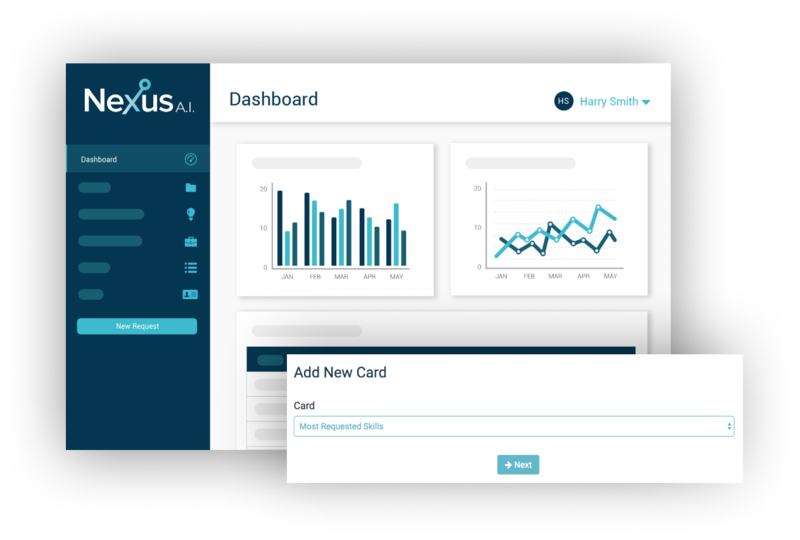 Get in touch with our team to see how your company can build better teams with Nexus.